Award Winning Floor Plan!!! 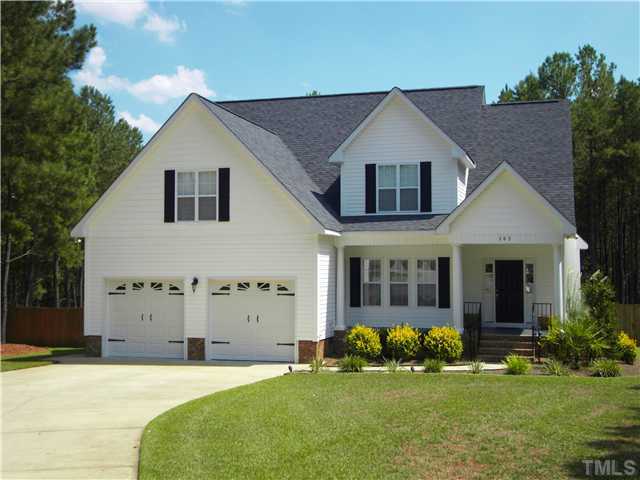 Open and Spacious features Cathedral Ceilings in Living & Master, Hardwood Flooring in Foyer,Dining,Living, and Hall. Custom Cherry Cabinets, Chair Rail, Wainscotting,& Crown Molding.French Door open to Screen Porch overlooking Fenced back yard, partially wooded for privacy. On demand Hot Water.Minutes to I40 and the Raleigh area. 3 BR,2.5BA,Bonus,2 Car Garage.